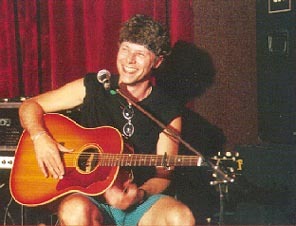 Jamie's career began in 1971 with his own band 'Merlin'. Jamie is a coveted session guitarist, collaborating with the likes of Freddie Mercury, Paul Young, Tony Hadley, Olivia Newton-John, Jimmy Nail, Roger Chapman, Pete Townsend, the Hollies, Elaine Paige, The Eric Burden Band and Gary Barlow and Bob Geldof. 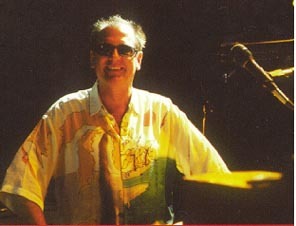 Recently he was the musical director on Paul Youngs tour and he is also a member of the SAS band. Niel has been playing professionally sine 1974 with bands and musicans such as Whitesnake, Black Sabbath (he did a reunion tour with them in 1994), Gary Moore, Eric Clapton, Scorpions, Jeff Beck, Sting, Ian Gillan and Steve Vai. With others he has played with Peter Green from Fleetwood Mac in his new band Splinter Group. Jon Lord, Graham Bonnet, Clapton/Beck/Sting (Amnesty Int'l. Gig), Scorpions (demos for 'Love At First Sting), Ian Gillan, Glen Tipton, and 'In From The Storm ' orchestral Hendrix album. He also played on gigs, TV shows or just rehearsals with Steve Vai, Joe Satriani, Paul Rodgers, Nuno Bettencourt (all at 'Guitar Legends' in Seville, Spain), Yngwie Malmsteen, Paul Young, Curtis Stigers, Roger Taylor, Bret Michaels, Robert Palmer, Ozzy Osbourne, and others. He is a member of the SAS band together with Jamie and Spike. Spike began his professionall career in 1970 as a musical director for Ben E.King, Edwin Starr and The Tymes. When he had moved to London in 1980 he played with the Boomtown Rats, Dexy's Midnight Runners, George Benson, Bon Jovi and Duran Duran. Spike played keyboards and additional guitar with Queen, including appearances at Live Aid, & Rock In Rio and was the co-musical director of The Freddie Mercury Tribute concert. He also co-founded The Cross with Roger. He worked with many artists including Paul Young, Tony Hadley, Curtis Stiger, Paul Rogers, Chaka Khan, Eric Clapton and The Rolling Stones. Now he is playing in his own band SAS - Spikes All Stars - together with Jamie and Niel. They tour all over the world and have become very popular in the Corporate World, few times ago they performed a show at the Microsoft World Conferance. Susie and Zoe worked with Asia, David Gilmour, The Who, Cliff Richard, The Jam, Luther Vandross, Bill Wyman. Susie have done many TV commercials and Zoe have performed in various TV shows. In 1996 they joined the Abba tribute band Bjorn Again, after 2 years they left and started thier own Abba tribute band named Fabba. His real name is Eric Mensinger. Mr. Mensinger was born in Cleveland on May 12, 1958. 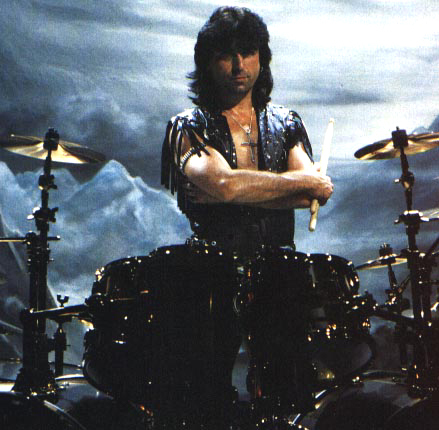 Eric joined the rock band, Kiss in 1991 after Eric Carr had passed away from heart cancer. 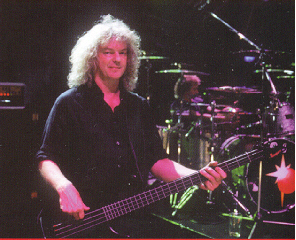 He played with The Runnaways, Black Sabbath, Gary Moore, Badlands and Alice Cooper. But he is most famous as the drummer of Kiss for 5 years. 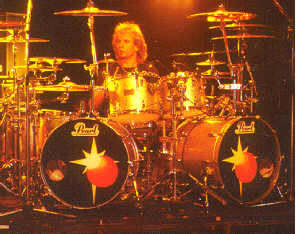 Eric joined the band late in 1998 as the original drummer to replace Cozy Powell, who was killed in a car crash. Since 1985 Shelley has recorded and toured extensively with a compherensive lists of artists including Alexander O'Neal, Simon Climie, Curtis Stingers, Robert Hart, Tom Jones, Alison Mayet, Innocence and Gary Moore. She was also working in the studio with Beverley Craven. Cathy is a native New Yorker and has worked as a session singer for various bands there. She has done extensive film and TV work and has worked on and off Broadway. Before joining Brian, she sang opposite Michael Craftword in 'The Music Of Andrew Lioyd Webber' tour of the USA, Japan, Australia and the UK. Cozy's long and varied carrer began in the seventies with session work with acts sych as Hot Chockolate, Suzi Quatro and Jeff Beck. His own solo single 'Dance With The Devil' tapped the UK charts in 1973 and was followed by two more solos singles. In 1975, Cozy began a decade of live work with Rainbow, Michael Schenker Group, Whitesnake and Emerson, Lake and Powell. Since 1985 Cozy has continued working in the studio and has produced and played on many more albums including 'Tyr' with Black Sabbath and more recently 'Back To The Light' for Brian. He has made three successful aolo albums, the latest of which 'The Drums Are Back' was released last Year. He was tragically killed in car accident in April 1998.